Either way, fall is in the air in these parts. This time of year always makes me feel a bit “foodie “ (is it sad to admit I start thinking about holiday menus in September?? ), so inevitability I start lusting for items of a culinary nature along with the requisite sweaters, boots, bags and whatnot… Here are a few things that are consuming my thoughts right now. First up, I’m definitely tuning into Spain…on the road Again later this month. 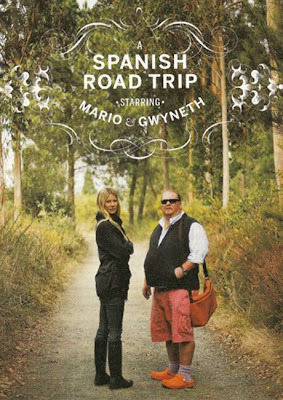 I read Heat for our book club a while back, and ever since then have thought Mario Batali a bit of a maniac/genius…I’m looking forward to seeing the dynamic between him and Gwyneth. From the clip, it looks pretty fun. Finally, I’m planning to get some new cookbooks and master a few recipes. I’ve lamented for too long about my lack of cooking prowess…no. more. complaining. It’s time for some action. I’m considering one of the following, but am always open to recommendations! Wow! 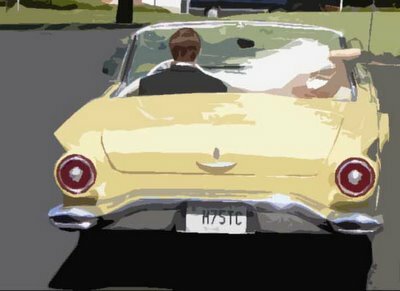 love your blog- just stumbled upon it! Organic vodka- who knew? I know just the person I can gift this to! Lyn R. Casper is so much fun to listen to on the radio- she may do a reg show for NPR-I have heard her from time to time. A lemony arugala, basil, dried cherry and orzo salad to be precise- It has made me the belle of many a potluck! the splendid table is awesome- I have used it many times. And I love me some Jamie. where did ya get the vodka? must try. 3 over ripe bananas sitting on my counter ready to be used. Thanks for the b. bread recipe link. There are actually a couple of kinds of organic vodka, but I haven't found one that is very good. 360 tastes like Barton's or worse. Yucky. Beautiful bottle though. I am looking for some new cookbooks, these look right up my alley. First of all, LOVE orangette. She was the first blog I ever read. 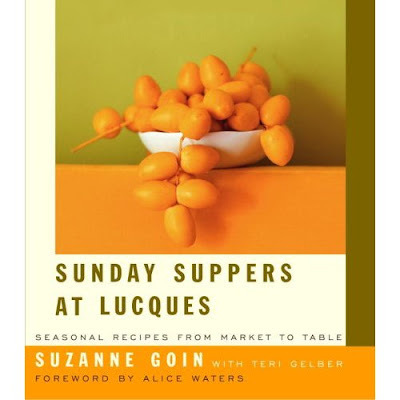 Second, Sunder Suppers at Lucques is excellent, as are all of JO's books (although I don't have "at home"). I would also suggest The Zuni Cafe Cookbook and The Gourmet Cookbook (if you buy one, it must be this one IMHO). Also, get yourself a subscription to Gourmet. 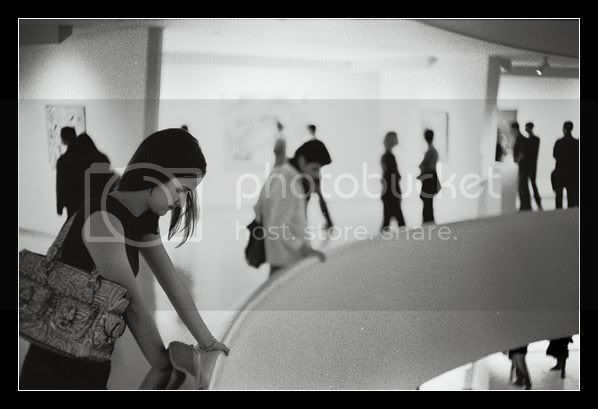 You will adore the photography. jora -- great idea. i'm definitely getting a subscription to Gourmet. I am on pins and needles waiting for Spain...on the road Again. I don't think there has been another time I wrote in a television program on the calendar. This has to be my favorite fall post yet...thanks my dear! Those look like such great books. I have the Naked Chef Family Cookbook, and it's so useful (in fact, used a roasted chicken recipe from it this afternoon for dinner tonight). Why is Gwyneth SO fabulous?! lynne -- good question...gwyneth seems to be kinda good at everything, no? GORGEOUS and inspiring blog you have here! I just clicked over from Made by Girl and WOW-I'm so glad I did! I'll be taking a peak and seeing if my co-op carries that vodka. Thanks for the tip! I really liked Sara Foster's cookbook, "Fresh Every Day." 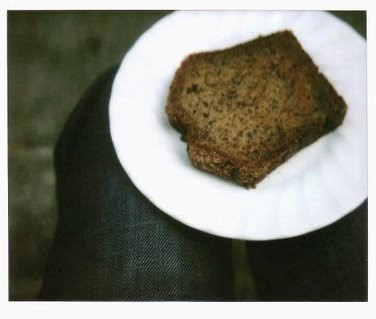 Lovely photos and simple, farm fresh ingredients. Also, I like Martha's "Everyday Food:Great Food Fast. You would expect 'fast' to mean 'from box/can/bag', but really all the recipes have a picture and all fresh ingredients. I love mine. Plus, its organized by season. This is one of the most scrumptious posts, ever :) There are cookbooks here that I've never seen! This makes me want to pick up apples, squash, and zucchini at the Farmers Market this weekend! 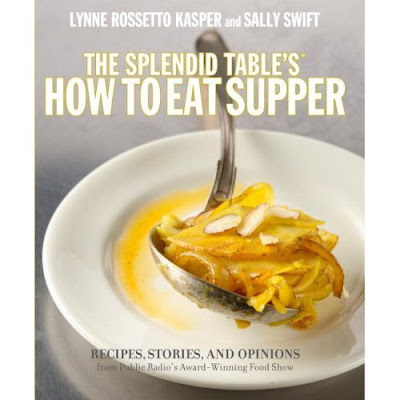 Get The Splendid Table cookbook - I haven't made anything from it yet but am dying too! It's beautiful to look at and the recipes are so unique! i love this and will most definitely be having a foodie fall too. can't wait for the the batali show! I've got the Jamie at Home book. I LOVE recipe books that order their recipes by the season, and he's got some great organic gardening tips for different kinds of produce (if you're that sort) - But I've found some of the recipes to be a bit variable in result. However, I suspect this might be my New Zealand tastebuds rejecting British cuisine. I've noticed that with a few British recipes now! My husband and I love, love Jamie. We watch "Jamie at Home" religiously, and I'm definitely buying that book. I can't wait for Fall!I wish the leaves turned red and gold but here they go from green to brown...what a shame!! I have to imagine the colors everytime I step outside, which is always more fun anyway!! 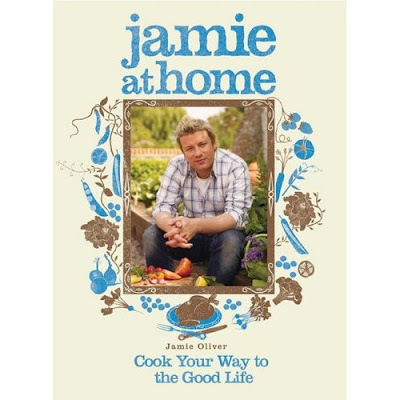 i have this jamie oliver book. it is one of the beautiful cooking books i have (i have many).